Hey Warheads! Thanks for checking out episode 30. You're in for a fun ride with this one. I'm joined by Nick Seuberling, Ramona Rice, Jay Soderberg and Corey Fineran for an All-Sports Showdown. 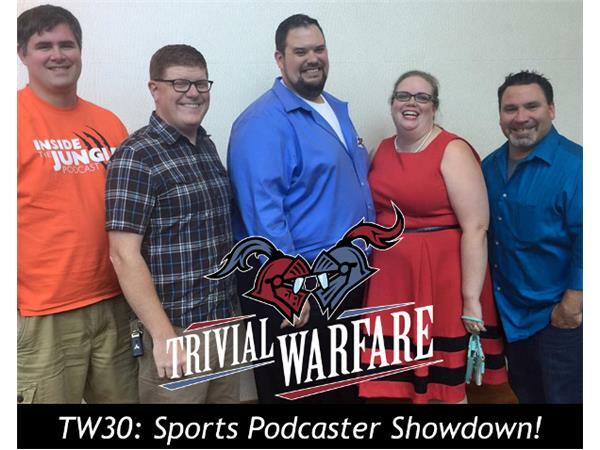 These are 4 of the best sports podcasters in the business throwing down in a little 2 on 2 action this week on Trivial Warfare.